The Dubliner showed obvious signs of rustiness in his first PGA Tour start of the season as he opened with rounds of 71 and 74 to make the cut on one-over par - 12 shots behind poster boy Camilo Villegas. Yes, he committed to the event just a few weeks ago but the organisers have been accused of misleading the public by heavily featuring absentees Tiger Woods, Sergio Garcia and Vijay Singh alongside home boy Phil Mickelson in its advertising. That Harrington is not featured is probably no surprise given that San Diego is thousands of miles from the Irish enclaves of New York and New Jersey, where he is most popular. But how can the organisers justify the use of images of Woods, Singh or Garcia, none of whom are playing this week? No wonder there were irate calls complaing of misleading advertising. 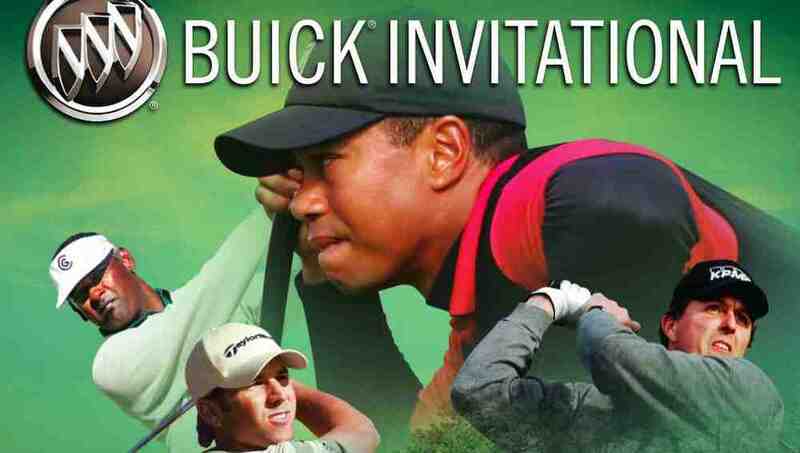 Upset over what he felt was clearly deceptive advertising, a golf fan in San Diego called his local newspaper to complain about a series of misleading print ads that have run to promote the Buick Invitational. He had every reason to rant and rave, but he took the high road -- unlike, say, the tournament's marketing department. As the man left his voicemail message, he repeated aloud the text from the advertisement that had run repeatedly last week in theUnion-Tribune, the area's biggest paper. The promotional ad featured a photo of four players, including Tiger Woods, who hasn't played in nearly eight months and was considered a long shot to tee it up this week. Worse, two of the other stars pictured, Vijay Singh and Sergio Garcia, hadn't formally committed, either. "Am I supposed to tell him those qualities, honor and integrity, don't matter if you are in marketing?" Nah, don't tell him that. Be sure to add that accuracy or accountability don't much matter, either. Warm indoors. Harrington could freeze at Portmarnock LinksTriple Major winner Padraig Harrington will freeze in Portmarnock on Thursday as the rest of the PGA Tour stars begin the new season in sunny Hawaii. The Dubliner, 37, will make his 2009 debut in the Links Golfing Society's winter league charity outing at Portmarnock Links when he could be playing for big money PGA Tour's curtain raising Mercedes-Benz Championship in Kapalua. Limited to last year's tournament winners, the champion in Kapalua will take home $1.12m. Instead he'll be playing for a good cause with the Links Golf Society, which has raised more than €10 million for charity over the past 11 years. Major hero Padraig Harrington plans to go completely mental as he begins the countdown to the Masters. And that’s because he’s totally focussed on getting his mind in tune when he bids for the third leg of the “Paddy Slam” at Augusta National. Padraig Harrington believes the introduction of drug testing at this year's Masters is good for the future of the sport. The Dubliner revealed that he was drug tested for the first time during last month's Buick Invitational at Torrey Pines. And he remains convinced that the move to battle the drugs cheats can only be good for golf's clean cut image.